Dutch still life in oil on canvas, 17th or 18th century. 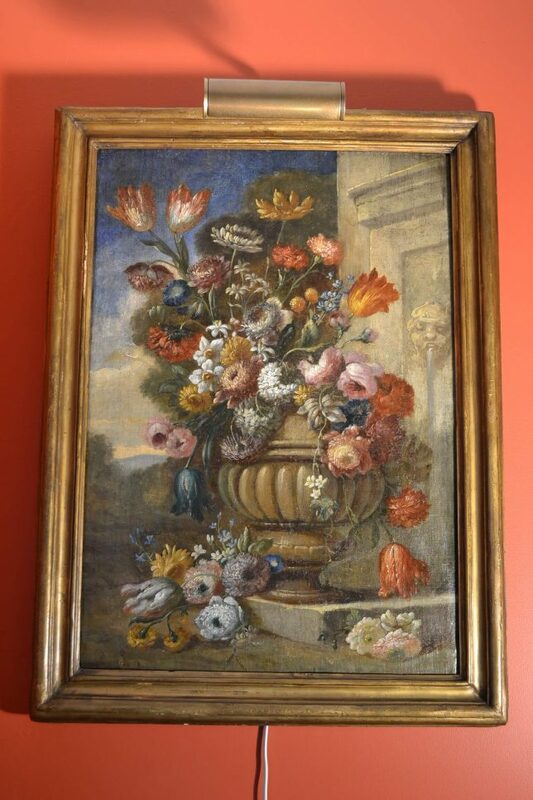 The floral bouquet is placed in a classical urn and is well contrasted against the blue sky. At right, please note a carved mask forming a garden fountain. Antique gilt frame. 33″ x 25″. Ready to display and enjoy. $1600.